I’m just back from the Mindfulness & Emotional Intelligence Summit. 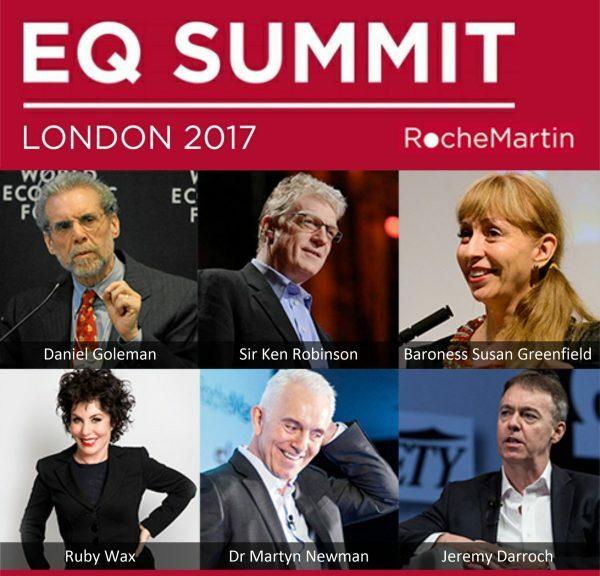 It was wonderful and re-ignited my passion and commitment to help individuals and organisations transform the way they work and lead by providing the highest quality Mindfulness & Emotional Intelligence Training. The role of leadership in organisations now is to create the conditions where their people thrive and innovation flourishes. Decades of research show that human beings need environments where they are psychologically safe and have nurturing relationships to fully engage and do their best work. The huge dis-engagement most organisations are currently experiencing is as a result of systems of thinking within corporate management which favours correcting fault and rewarding compliance (or the carrot and stick approach). The research has shown that this does not work. It actually dulls productivity and creativity. Role of Leadership – how do you impact? 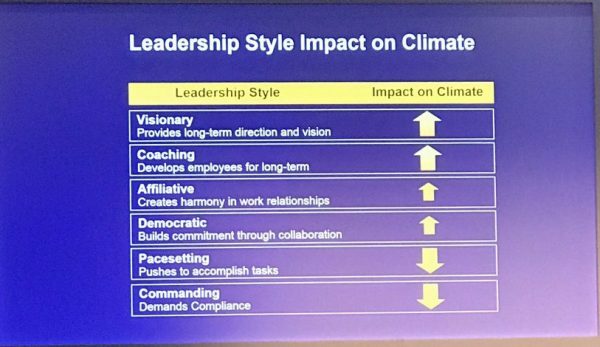 Goleman illustrated the impact of leadership style on the climate / culture of an organisation and why leaders now need to move from being a director to being an enabler. This shift requires developing their emotional intelligence. 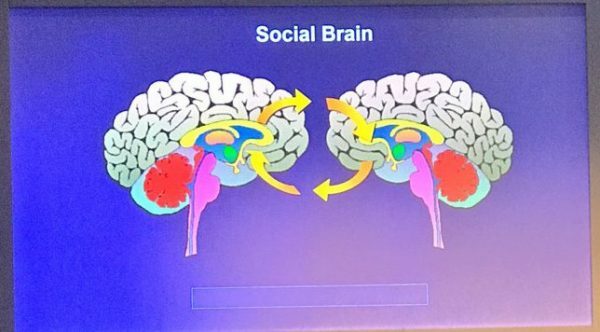 The human brain is highly social, we empathically resonate (feel what others feel literally) with those around us. So, the mind state of a leader sets the tone for the rest of the organisation. Encouragement and positivity breeds possibility and success, criticism and negativity stifle creativity, thinking/acting outside the box and result in failure. 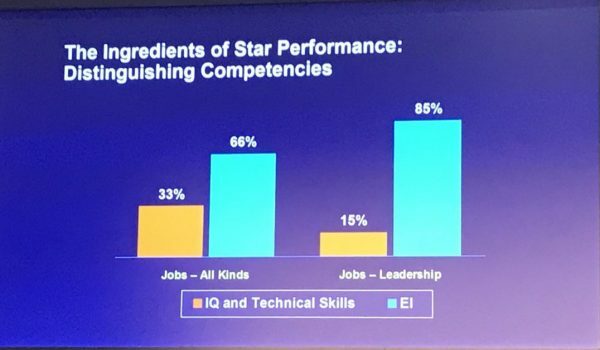 the higher you go in an organisation, the more emotional intelligence matters. It is not just self awareness but social awareness and social skills are just as vital. 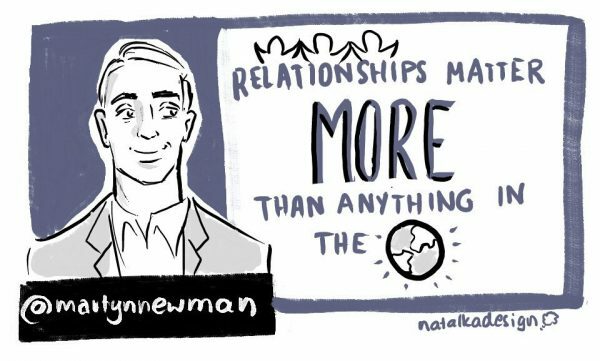 Martyn Newman said that people in organisations need meaning and meaningful relationships. Communication and relationship skills consistently foster the flow of ideas in teams and Sky’s experience confirmed this.